Sauganash Montessori School (SMS) located at 5750 N. Rogers at the corner of Rogers and Kilbourn Avenue opened in the fall of 2004. The preschool and kindergarten enrolls children ages 3 – 6 years old and is open from 7:30 am to 6:00 pm Monday through Friday. The school follows a traditional academic year calendar and offers a nine week summer camp. SMS provides half day, partial day and all day programs. Sauganash Montessori School is very proud to offer exceptional early childhood education to the Edgebrook-Sauganash Community and the surrounding area. SMS has created two beautiful and spacious classrooms, set in a warm home-like atmosphere, for children three to six years of age. 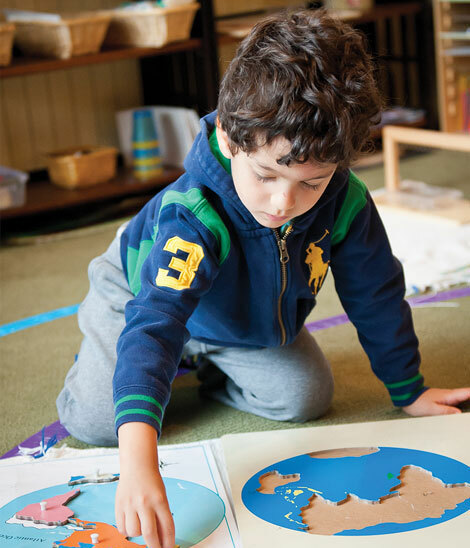 The school is governed by the strict ethical codes of the American Montessori Society and follows DCFS and Illinois State Board of Education regulations. SMS began with one classroom of 17 children in 2004. By the end of 2005 SMS enrolled 28 children and expanded to hold 60 children in the fall of 2008. The child to teacher ratio is always 10 to 1 or under. The founder and executive director of the school is Katie Higgins Ferris. Katie taught for fifteen years before opening SMS. Her goal is to bring high quality education in a beautiful environment to the residents of Sauganash, Edgebrook and the surrounding area. Katie Higgins was born and raised in Edgebrook. She is a graduate of St. Mary of the Woods Grade School, Regina Dominican High School, Marquette University and the Midwest Montessori Teacher Training Center in Evanston.